The majority of humans are right-handed. 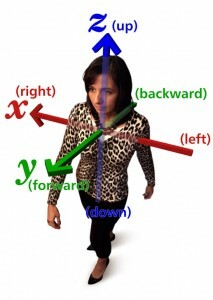 Many are also right-sided in general (that is, they prefer to use their right eye, right foot and right ear if forced to make a choice between the two). 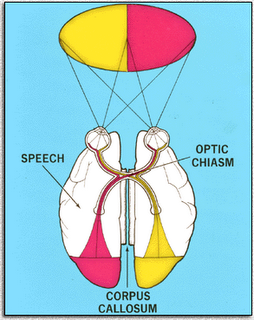 The reasons for this are not fully understood, but it is thought that because the left cerebral hemisphere of the brain controls the right side of the body, the right side is generally stronger; it is suggested that the left cerebral hemisphere is dominant over the right in most humans because in 90-92% of all humans, the left hemisphere is the language hemisphere. Human cultures are predominantly right-handed, and so the right-sided trend may be socially as well as biologically enforced. This is quite apparent from a quick survey of languages. The English word "left" comes from the Anglo-Saxon word lyft which means "weak" or "useless". Similarly, the French word for left, gauche, is also used to mean "awkward" or "tactless", and sinistra, the Latin word from which the English word "sinister" was derived, means "left". Similarly, in many cultures the word for "right" also means "correct". The English word "right" comes from the Anglo-Saxon word riht which also means "straight" or "correct." 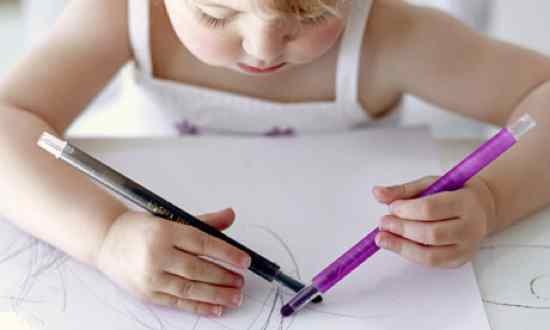 This linguistic and social bias is not restricted to European cultures: for example, Chinese characters are designed for right-handers to write, and no significant left-handed culture has ever been found in the world. When a person is forced to use the hand opposite of the hand that they would naturally use, this is known as forced laterality, or more specifically forced dextrality. A study done by the Department of Neurology at Keele University, North Staffordshire Royal Infirmary suggests that forced dextrality may be part of the reason that the percentage of left-handed people decreases with the higher age groups, both because the effects of pressures toward right-handedness are cumulative over time (hence increasing with age for any given person subjected to them) and because the prevalence of such pressure is decreasing, such that fewer members of younger generations face any such pressure to begin with. Also, it is not uncommon that people preferring to use the right hand prefer to use the left leg, e.g. when using a shovel, kicking a ball, or operating control pedals. In many cases, this may be because they are disposed for left-handedness but have been trained for right-handedness. In the sport of cricket, some players may find that they are more comfortable bowling with their left or right hand, but batting with the other hand. Laterality of motor and sensory control has been the subject of a recent intense study and review. It turns out that the hemisphere of speech is the hemisphere of action in general and that the command hemisphere is located either in the right or the left hemisphere (never in both). Around eighty percent of people are left hemispheric for speech and the remainder are right hemispheric: ninety percent of right-handers are left hemispheric for speech, but only fifty percent of left-handers are right hemispheric for speech (the remainder are left hemispheric). 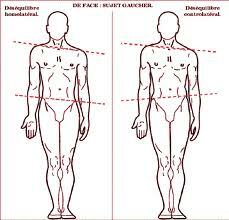 The reaction time of the neurally dominant side of the body (the side opposite to the major hemisphere or the command center, as just defined) is shorter than that of the opposite side by an interval equal to the interhemispheric transfer time. Each hemisphere of the human brain has its own private sensations, perceptions, thoughts and ideas all of which are cut off from the corresponding experiences in the opposite hemisphere. In many respects each connected hemisphere appears to have a separate mind of its own. The meaning of the word lateral is: of or relating to the side, away from the median axis. 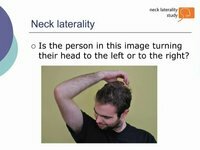 The term laterality – or sidedness – is used to refer to any one of a number of preferences for one side of the body to another. Probably the most common example of this, and one to which we can all relate, is whether a person is left- or right-handed. Roger Wolcott Sperry (1913–1994) was an American neurologist who shared the 1981 Nobel Prize in physiology/medicine for his split-brain research into what he was to discover are the quite different functions of the two hemispheres of the human brain. His research began in 1954 and from the 1960s his work with human patients proved to be of major significance in the development of neurobiology and psychobiology. He published his ground-breaking discovery of the two separately functioning hemispheres of the brain in 1968.
individual with our own physical make-up, fingerprints, DNA, facial features, character and personality. Human characteristics have always been analysed and categorized; however, it was not until the mid-20th century that it was realized that each one of us has two sides to our brain, each of which has quite different functions and characteristics. 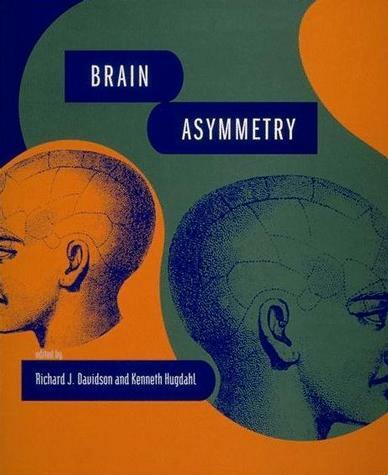 In the 1960s, Roger Sperry, Michael Gazzanniga and Joseph Bogan began a series of experiments that seemed to indicate that certain types of thinking and behaviour are linked to certain parts of the brain. Research, begun in the 1950s, had found that the cerebral cortex has two halves, called hemispheres, that are almost identical. These two brain hemispheres are connected by a bridge, or interface, of millions of nerve fibres called the corpus callosum, which allows them to communicate with each other. 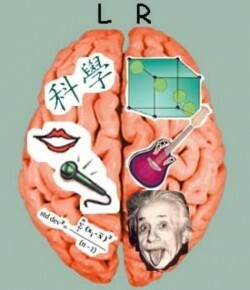 The left side of the brain connects to the right side of the body, while the right side of the brain connects to the left side of the body. 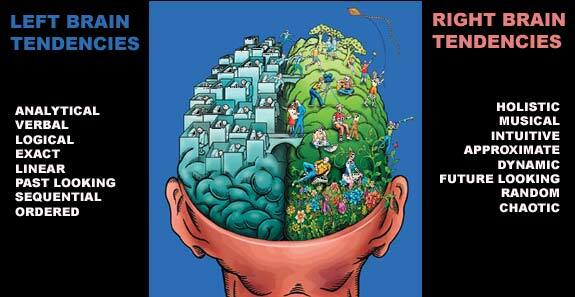 private sensations, erceptions, ideas and thoughts, all separate from the opposite hemisphere. As their experiments continued Sperry and his team were able to reveal much more about how the two hemispheres were specialized to perform different tasks. sequential and logical fashion and is the side that controls language, academic studies and rationality. The right side is creative and intuitive and leads, for example, to the birth of ideas for works of art and music. scientific skills music, art aggression passive sequential simultaneous verbal intelligence practical intelligence intellectual sensuous analytical synthetic Although some individuals may be heavily weighted towards a particular hemisphere, this does not mean they are predominant in every one of that particular hemisphere’s skills, since no one has total left- or right-brain bias. However, when logical processes are being used the right brain does not switch off and vice versa. On the contrary both of these brain processes work much more effectively when both sides of the brain are working together. The importance to each of us of accessing both hemispheres of the brain is considerable. In order to support the whole brain function, logic and intuition, to give just one example, are equally important. Before the subconscious of the right-hand hemisphere can function, it needs the fuel, or data, that has been fed into, collated and processed by the left-hand hemisphere. 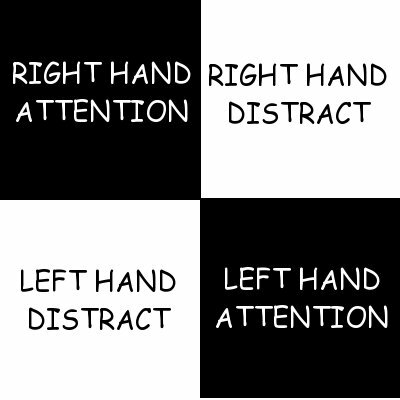 One danger is the overburdening of the left-hand hemisphere with too much data, and too quickly, to the extent that the creative side of the brain is unable to function to its full potential. On the other hand, lack of data fed into the left-hand hemisphere could result in the creative side, or right-hand hemisphere drying up. It is, therefore, desirable to strike the right balance between right and left hemispheres in order for the brain to work to its full potential. The following test is designed to explore whether you are basically a right-sided brain dominated individual or a leftsided brain dominated individual, or whether you are indeed in the fortunate position of having equal balance between the two brain hemispheres. * 1. Which of the following words best describes you? * 2. With which of the following alternatives do you feel most confident? * 3. In general, do you spend more time thinking about the present or the long-term future? * 5. Which of the following most takes your breath away? * 6. I am much more interested in a general overall idea than in the details of how it has been conceived. * 7. How organized are you when it comes to filling in important documentation such as a census form or an annual tax return? * 8. I channel most of my energies outside my home life into my chosen career. * 9. Experimentation is far more fulfilling and rewarding than following tried and tested convention. * 10. What is your idea of a perfect holiday destination? * 11. What are your views on global warming? * 12. You are at a new restaurant with friends. Which of the following meals might you choose? * 13. Experience is the greatest teacher. * 14. On balance, are you? * 15. I usually have no difficulty in perceiving various different ways in which events can develop. * 16. Could you find your birth certificate in five minutes? * 17. What is your favourite type of garden? * 18. I am inclined to rely more on improvisation than on careful planning. * 19. Which of the following do you, or did you, prefer at the fairground? * 20. What is your opinion on modern art such as exhibits in the Turner Prize? * 21. I prefer to act immediately rather than spend a lot of time contemplating various alternative options. * 22. Do you find it easier to remember people’s names or faces? * 23. Do you often follow your hunches? * 24. Which of the following subjects did you least look forward to at school? * 25. When attending a talk or lecture, which of the following do you find? * 26. To be described as which of the following would most please you? * 27. Which of the following characteristics is most important to you?